Logos are one of most effective and powerful marketing tools a company can utilize to gain brand recognition. Whether we are cognitively aware of it or not, we are surrounded and influenced by logos each day. As consumers, we often become attached to these visual representations. So what happens when our most loved brands change or redesign their logo? Let’s take a look and apply this to some of our most beloved brands, including the most recent rebranding of Virginia Tech. There are a multitude of reasons as to why a company may decide to rebrand. A company or trademark owner may feel as though it is time for the brand to expand into a new geographic region or it may decide it wants to reach a new demographic of customers. The decision to rebrand may also come about when the logo appears out-of-date or out of touch with the company’s evolving identity. This unique company has transformed the transportation empire, but it has also transformed itself along the way. In a video released by Uber explaining their rebranding, they describe the “bit” and the “atom” as the inspirations behind the new positioning. Uber said, “We leave no bit or atom unturned to create create industries that serve people—and not the other way around." 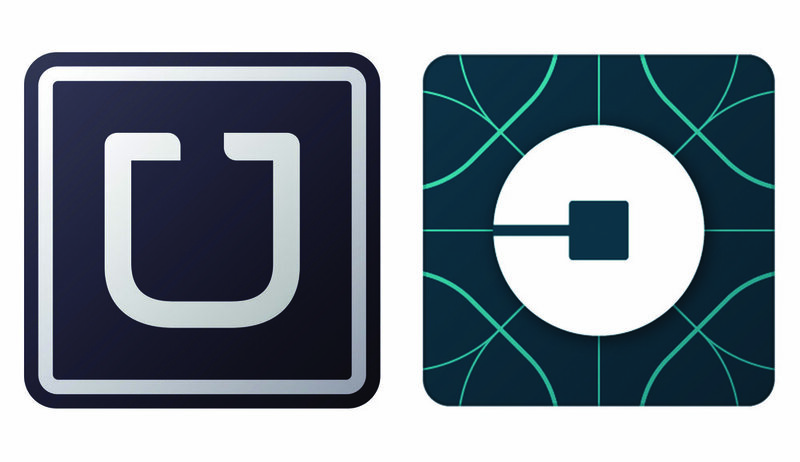 However, consumers have not seemed to react well to Uber's inspirations. In a survey conducted by Pollfish, only 44% of respondents reported they did not know which company the new logo represented, while almost 20% of respondents thought the new logo was associated with another brand, like Chase bank or Uber’s biggest competition, Lyft. Starbucks is a household name. But how does a household name transcend its message into a concise logo? Brands like Starbucks attribute a significant amount of their strength to consumers who feel a personal connection to the brand. This sense of brand loyalty not only gives a brand positive recognition, but it can also aid in eliciting negative reactions as well. It is these same brand loyal customers who react negatively to logo changes, and in the case of Starbucks, took to social networking websites to express their negative feelings about the change. In a 2010 study published in the Journal of Product and Brand Management titled, “Do Logo Redesigns Help or Hurt Your Brand? The Role of Brand Commitment”, researchers discovered that brand attitudes decreased for those heavily committed to the brand but increased for the weakly committed. This lead researchers to conclude that committed brand enthusiasts view the logo changes as threatening to their relationship with the brand. So far we have discussed rebranding within both the transportation and food industries. However, logos and brand management are exceedingly important within academia and university relations. Virginia Tech is no exception. The University’s recent rebranding and newly designed logo marries the school’s enthusiastic passions for academics and athletics. Although the university logo has changed, other symbolic expressions such as the HokieBird, and the University seal remain the same. Not only should a company carefully plan the launch of their brand redesign, they should consider the underlying message that the new logo is designed to illustrate. A new design that illustrates and effectively communicates a new message can introduce consumers to a different side of their favorite brand. Through rebranding, a company can recommit itself to its core values and ensure that it stays relevant. What makes a logo stay relevant is not necessarily the design, but the narrative story of the brand it represents.